Violent crime 2.5 times higher in South Tel Aviv, according to report; surfaces as High Court for Justice evaluates infiltration laws. 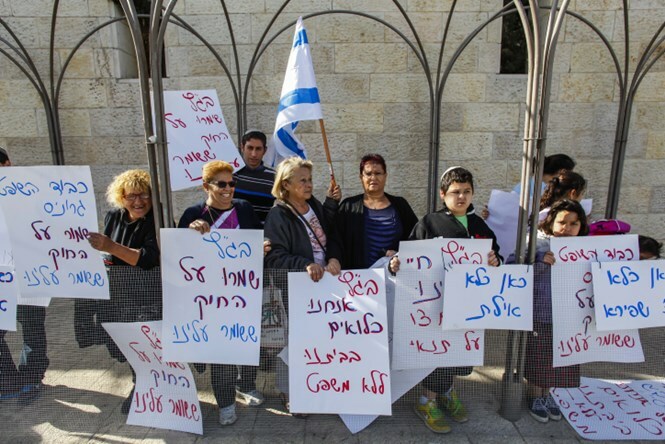 The High Court of Justice will hold a hearing Tuesday on a petition submitted to the Immigration Policy Center by 100 Tel Aviv residents asking to deport the infiltrators raising crime in their neighborhoods. The petition initially reached the Court in December. However, controversy regarding new laws preventing illegal immigration - including a smear campaign against Israel's handling of the 60,000 migrants run by NGOs, leftist groups, and the UN - postponed judgement on the petition while Israel repaired damage to its image. During the hearing, the Center for Immigration Policy in Israel wrote a detailed response to cries to repeal anti-infiltration laws. Great changes have been made in Tel Aviv's southern neighborhoods since the law was enacted. One data point demonstrates, simply, how the infiltration problem is localized the South Tel Aviv. According to the data, 11% of infants at baby-care clinics [mandatory visits are required by Israeli law; provides a population census - ed.] in Tel Aviv are the children of migrant workers. By contrast, the baby-care clinic near the Tel Aviv Central Bus Station, which handles children in Neve Shanan and other areas in south Tel Aviv, reports that 93% of patients were born to illegal immigrants and infiltrators. The report also includes data from the Israeli Police, which reportedly shows correlation between infiltration and crime. Sexual offenses in neighborhoods with large percentages of infiltrators are recorded to be occurring at a rate 3.5 times higher than found in the general population, violent crime 2.5 times higher than in the general population, and robbery 6 times higher than in the general population. The report also shows that according to UNHCR figures, the number of Eritreans and Sudanese who entered Israel in the peak of infiltration, in 2011, were higher in absolute numbers than the ratio of illegal migrants who received asylum in any EU country. Thus, for example, Israel absorbed 95 times the number of infiltrators Spain does in terms of its population, and 370 times more in relation to Israel's geographic size. The report also shows that in the same year, 2011, the State of Israel absorbed more Eritreans than any other country in the world including Ethiopia. In a six-month period in 2012, it absorbed 2.3 times more Eritreans and Sudanese than any number seeking asylum in any other EU country during the same period. Under legislation passed on December 10, 2013, illegal immigrants entering Israel can be held for up to a year without trial. It was the latest in a series of measures aimed at cracking down on the numbers of African migrants entering the country illegally, which Israel says poses both a security and demographic threat. The new law amends earlier legislation which allowed for immigrants to be held for up to three years without trial that was overturned by the Supreme Court in September. Detainees are held at special facilities, given basic needs and even benefits like healthcare and education, and allowed to leave the facility during the day as long as they report daily to special stations, according to the program. The bill faced considerable controversy in the Knesset, however, with both Leftist MKs and activist groups claiming the law was a violation of human rights. Supporters of the law have pointed out how vital preventing illegal immigration is to Israel's security, especially near Israel's South and in major urban centers. Residents of working-class neighborhoods in southern Tel Aviv, as well as those of other cities like Eilat, say they have been suffering from endless harassment, fear and violence perpetrated by the many illegal Eritrean and Sudanese infiltrators who enter Israel to find employment and come to live in their neighborhoods. 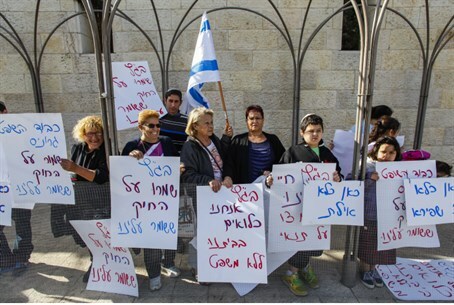 Many Jewish residents say they are terrified of leaving their homes and have begged the government to take action. Several have now set up protest outside the High Court, asking the government to uphold their rights as native Israelis.